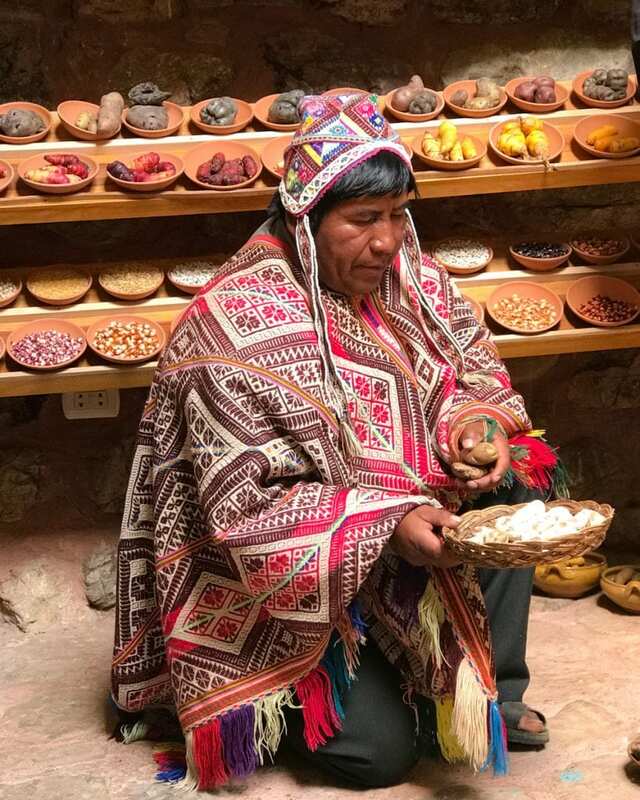 No visit to Sacred Valley Peru is complete without this Cusco tour of Parque de la Papa, also known as Potato Park, where guests can learn about the most important crop to Peruvian cuisine, the potato. 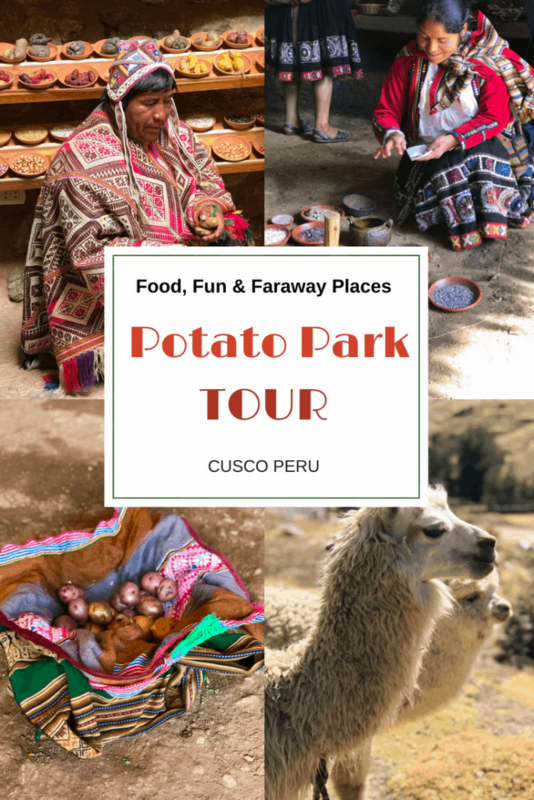 I was able to see Potato Park through an exclusive experience with G Adventures, the tour company I joined to explore Peru. Potato Park is an indigenous community of 6,000 people currently working to preserve over 3,000 species of potatoes. 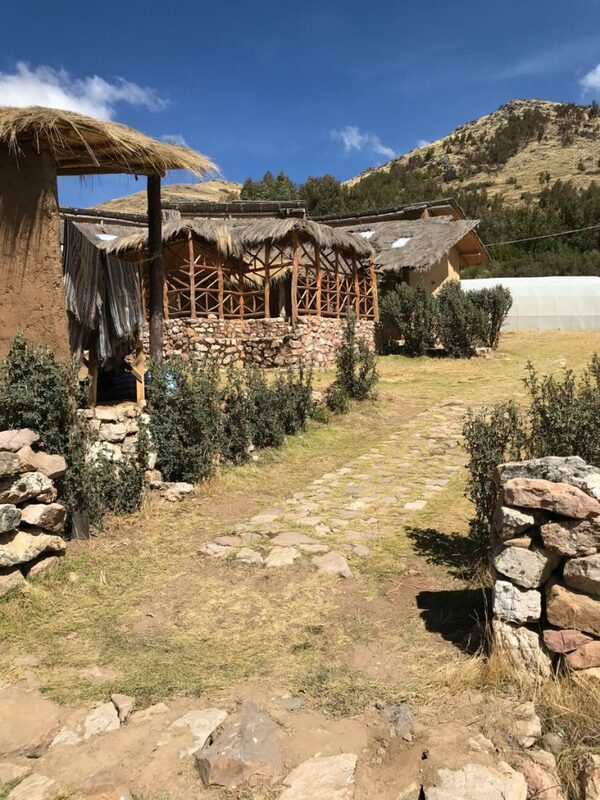 Through the support of G Adventures and Planeterra, their non-profit partner organization, people are able to visit this serene setting and learn about Andean life. 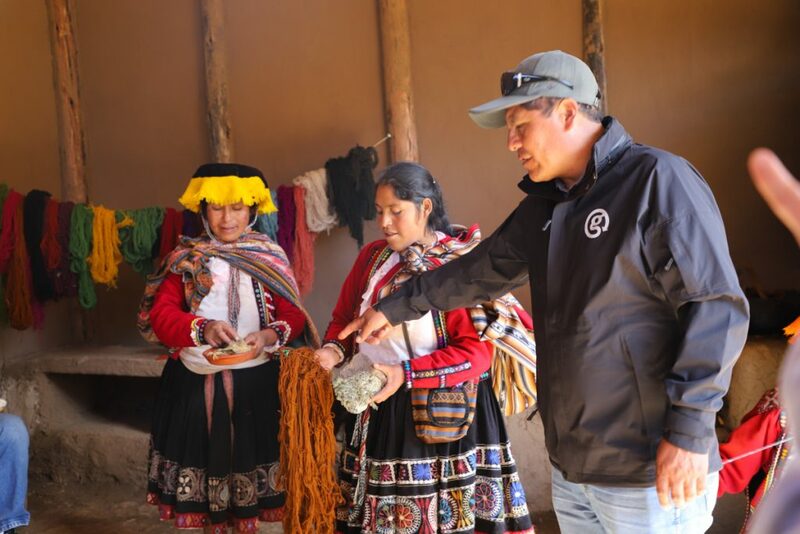 One of the reasons I enjoyed traveling with G Adventures is because of the way they give back. 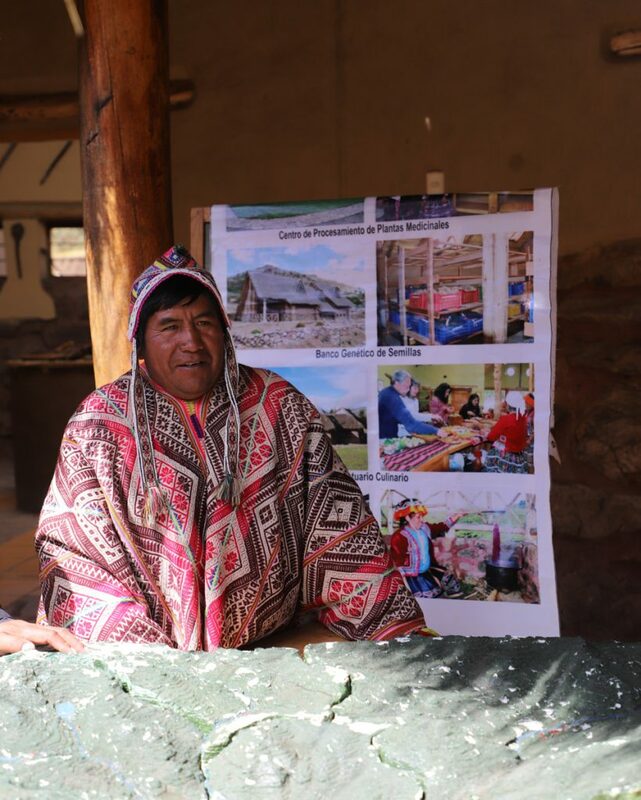 Through Planeterra, they identify a travel resource or community that is locally owned and run but could use better access to the global tourism economy. 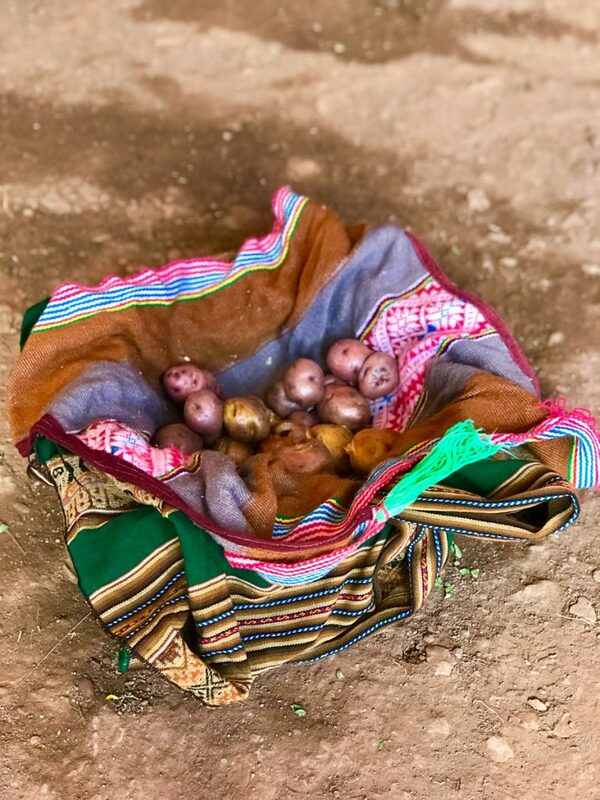 Because of this partnership, Potato Park is part of the G Adventures Explore Machu Picchu tour and other tours in the area. Potato Park has a fascinating seed conservation program that is storing indigenous potato seeds in conjunction with the Svalbard Global Seed Vault in Norway. 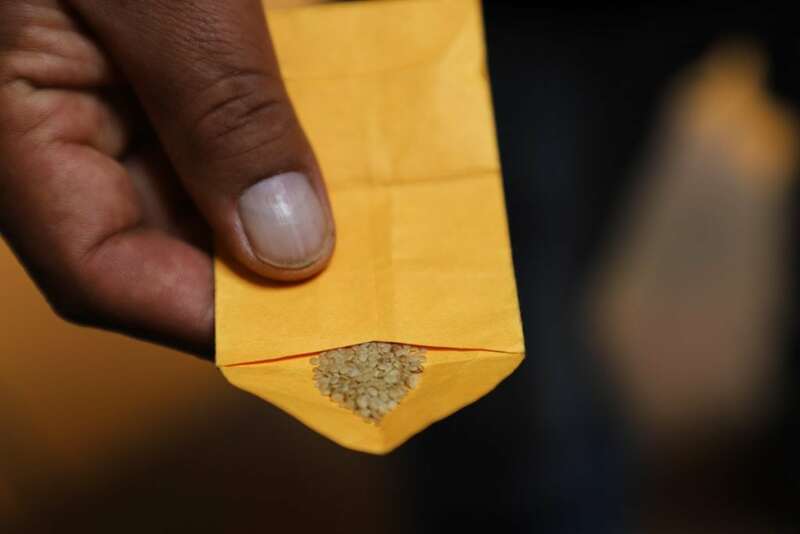 As more and more indigenous products are going by the wayside, the Svalbard Global Seed Vault wants to ensure as many seed samples as possible are kept in the Seed Vault. The country of Norway covered all costs associated with the building of this vault, and the storage of the seeds are free to any community who wants to participate. With over 20 million seeds in storage, including approximately one-third of the world’s most important food crops, the Svalbard Global Seed Vault is like a safe deposit box to protect seeds from all over the world from loss, whether through accidental catastrophes such as natural disaster, disease, war, or simple mismanagement. 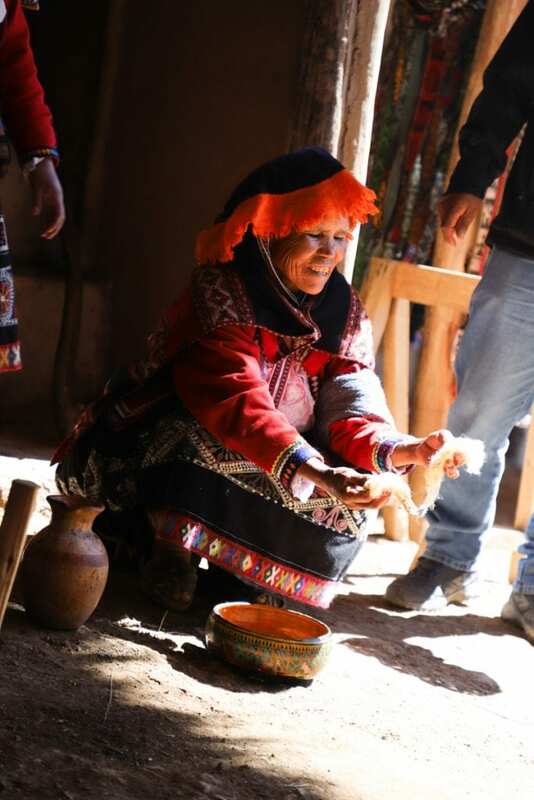 Being able to see how the community of Potato Park is doing their part in preserving Andean culture is an amazing experience. The tour of Potato Park begins with a welcome from the people of the community. Even the littlest members of the community were out to greet the new visitors. A local guide explained why Potato Park is so important. It’s actually believed that the potato originated in Peru. Traditional planting methods are explained. This immersive learning experience is the best way to experience Potato Park. 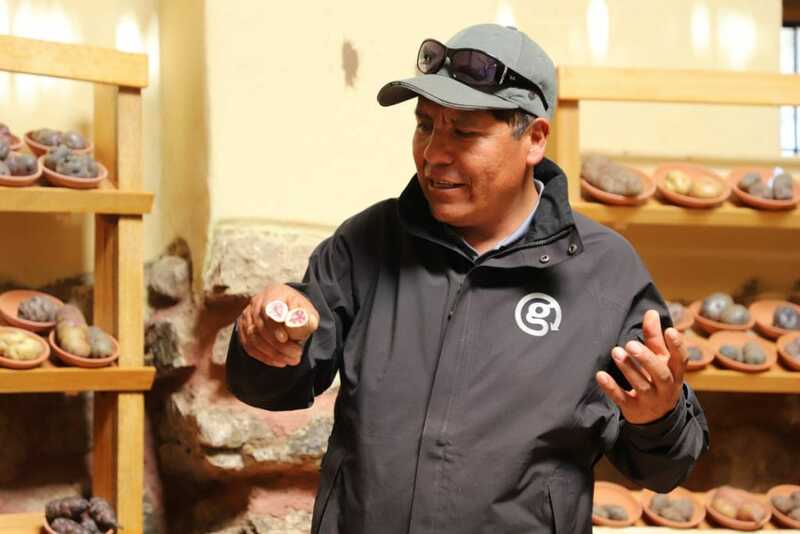 As the people of Parque de la Papa speak Quechua, a G Adventures guide translated the information to visitors. Time is allowed for questions, as well. The people of Potato Park are excited about sharing this knowledge handed down from their forefathers. 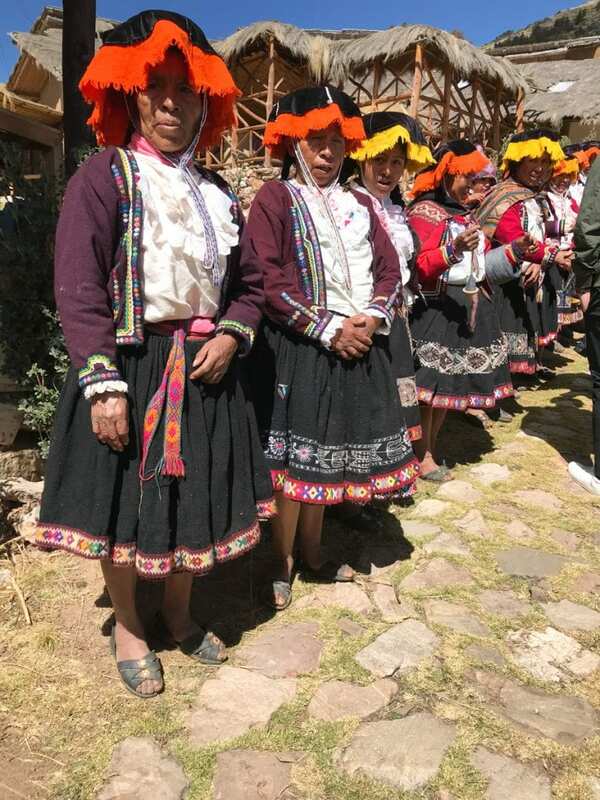 Through the partnership with Planeterra, more tours are coming through Potato Park, which means there is funding for other programs, like the Ccaccaccollo Women’s Weaving Co-op. 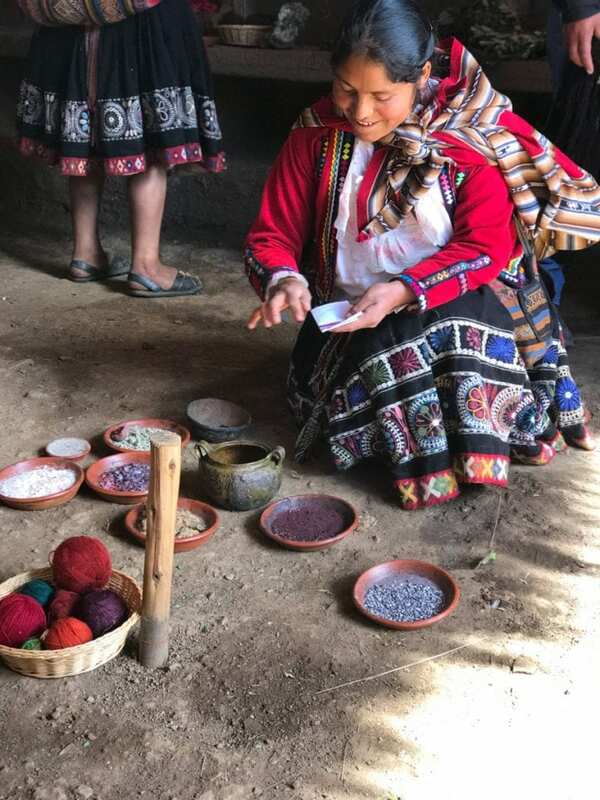 Through this tour, which is right on sight at Potato Park, visitors can learn more about the alpaca and llama wool used to make the items sold at the market. 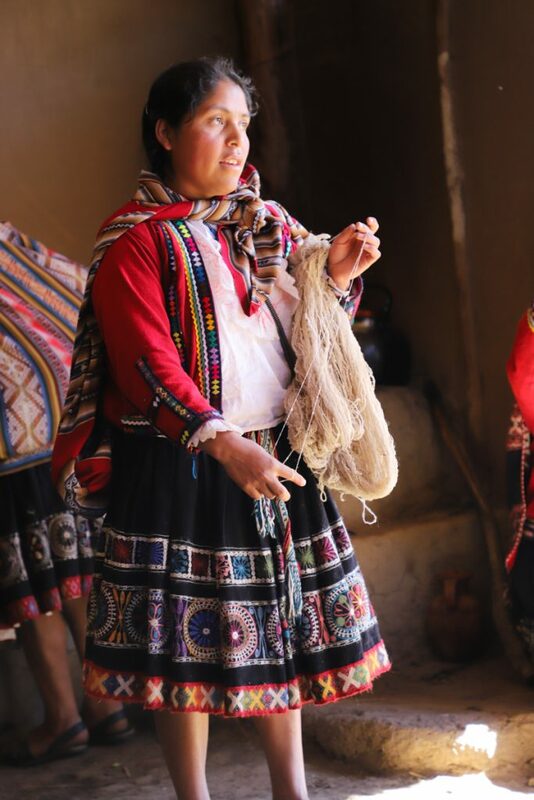 Traditional methods are still used to produce the yarn, hand-spinning the wool. 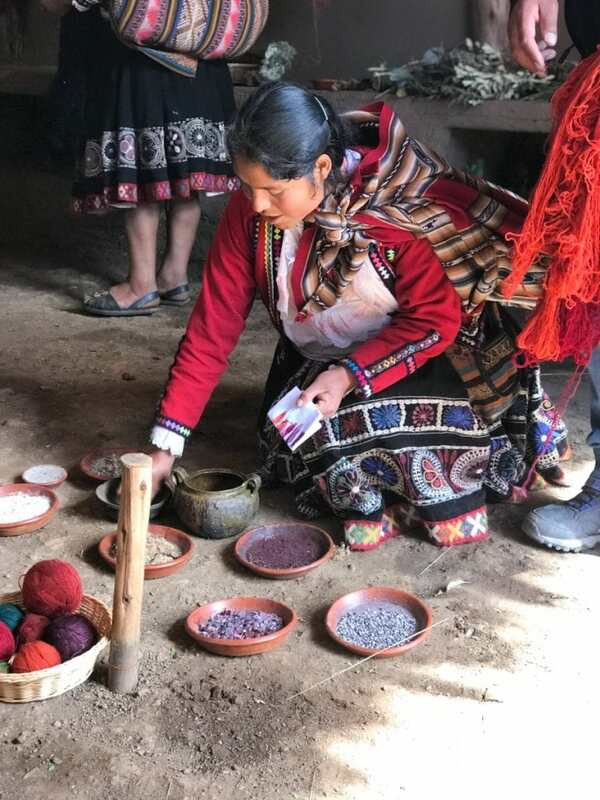 The women of the community are able to bring income to their families through this program. Many of the women we spoke to were carrying their sleeping children on their backs. 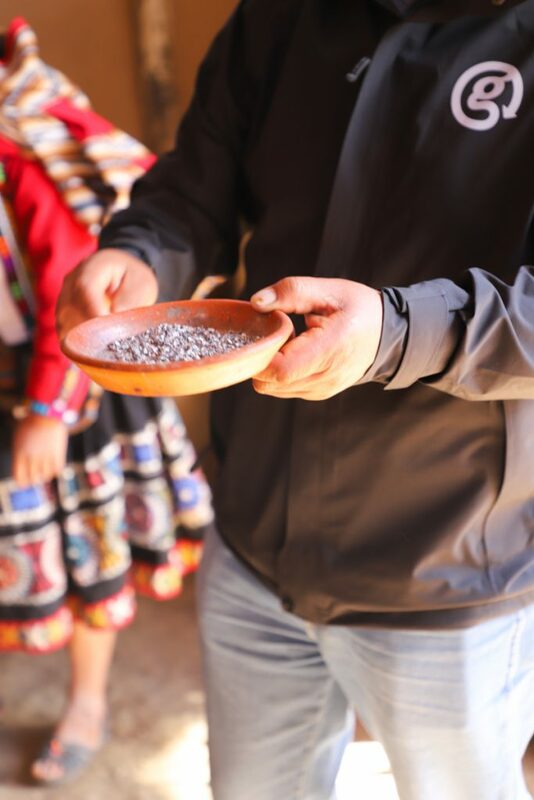 Being part of the co-op allows the community to maintain a traditional way of life. 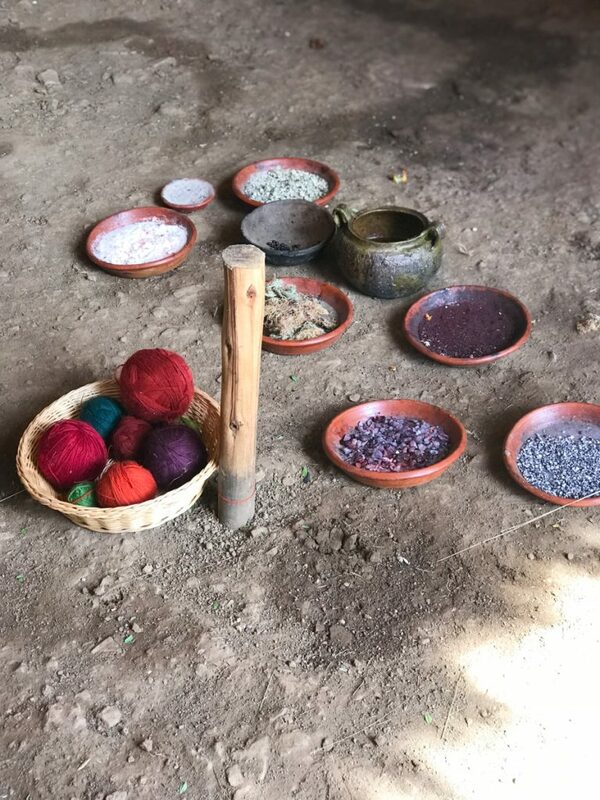 Through this demonstration, visitors also learn about the different dyes used to color alpaca and llama wool. 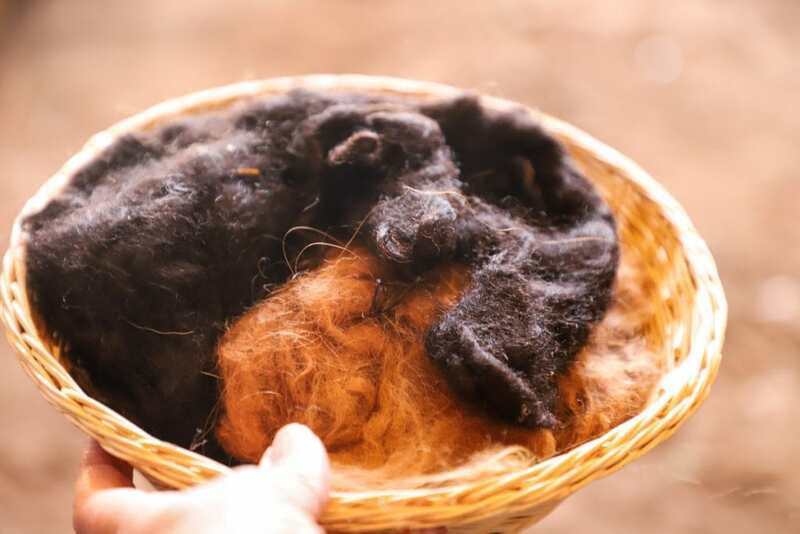 Many different plants, minerals, and other products are used to dye the wool. Our G Adventures guide interpreted this part of the tour, as well. 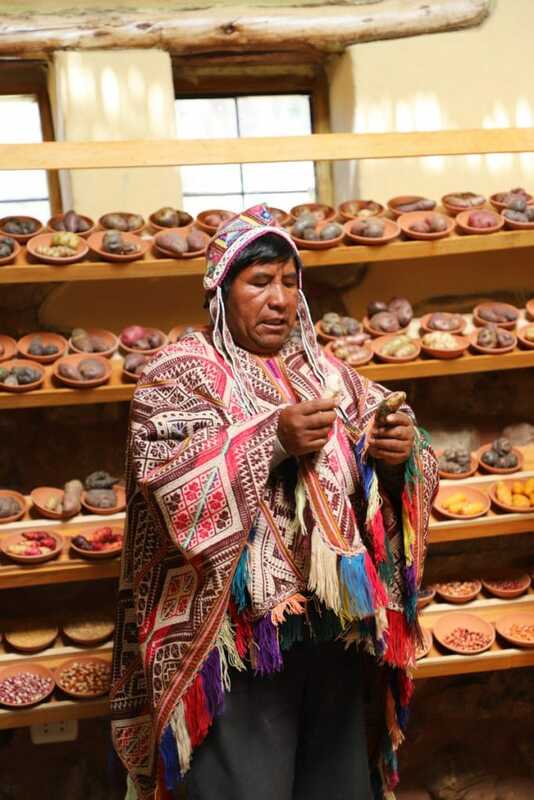 Visitors can watch a demonstration of the different colors produced by individual dyes. So many colors can be created by combining natural dyes. 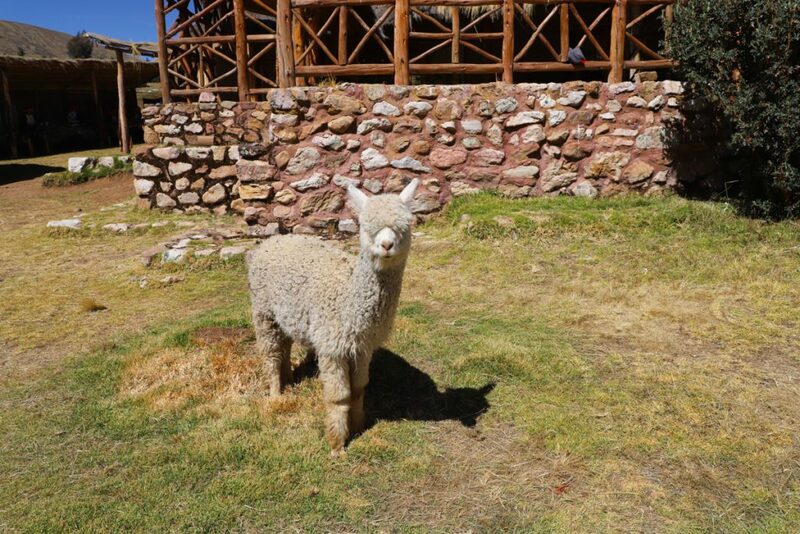 When you learn that the alpacas are only sheared once every three years, it’s understandable why the alpaca blankets, scarves, hats, and other items are more expensive than other wool products. 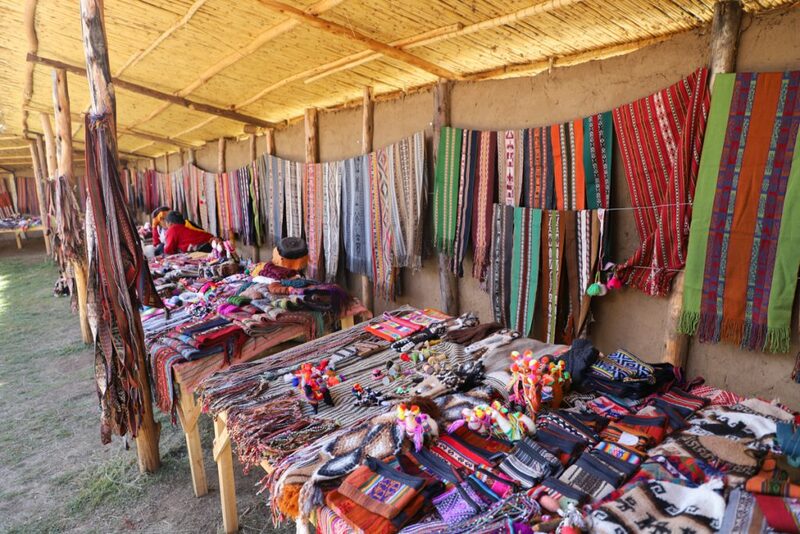 Potato Park has an on-site market where handmade items can be purchased. Are you planning your next vacation? An immersive trip with G Adventures offers the experience of a lifetime. Explore Machu Picchu is only one of the tours offered in Peru and is in partnership with National Geographic Journeys. G Adventures offers trips all over the world and may have your next bucket list trip coming up soon. Simply search by country to see what trips are being offered and to start planning your G Adventures vacation. 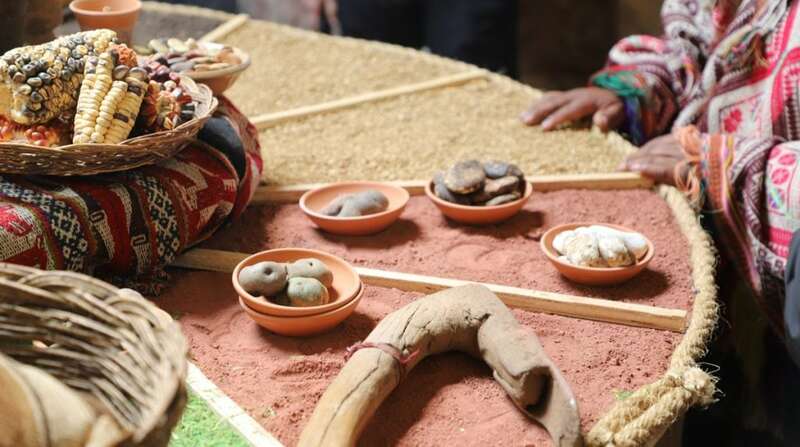 What a great way to travel and get a deeper look at the culture and learn about the local people and economy. Wow – what an amazing experience! I’ve traveled to Ecuador but not Peru. This would be exactly the kind of trip I would enjoy. Truly understanding the way people live in a country is really important to me. Great photos – makes me want to visit more! I would so love to visit Peru someday. I had a trip planned to Lima once, but we had to cancel it at the last minute for a family emergency..
Peru has been in my bucket list for years. It’s such a fascinating and interesting culture. Your pictures are gorgeous. I found this so interesting. I didn’t know there was actually a place called a potato park and that they would have that many different types of potatoes. What a neat place to get to visit and learn about. 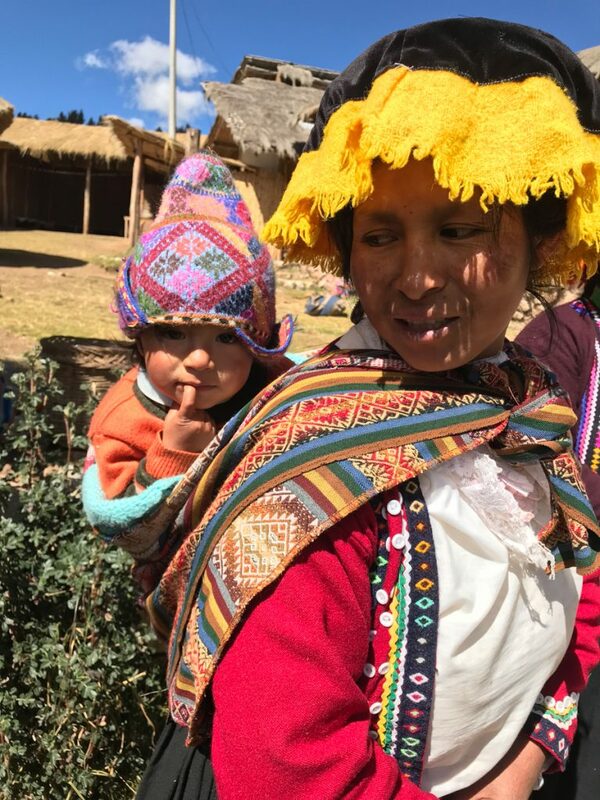 What an amazing way of spending time in Peru. Definetly the country has a lot to offer. Cusco is so full of energy, everywhere you go, there is always so much to see, but the people fills you in with so much love.